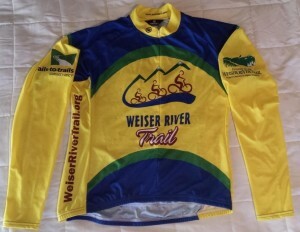 The Jersey is produced for the Weiser River Trail by Canari. The fabric choices are DryCore or Thermotech. Drycore is a lightweight, wicking fabric with a UPF rating of 30+ suitable for mild to hot weather. 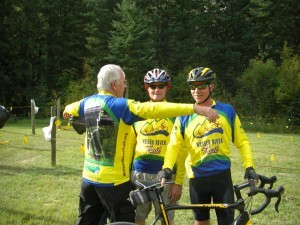 The jersey is a Club Fit which is a looser fitting jersey. Sizing information is listed below. Short sleeve or long sleeve. Thermotech which is a mid weight fabric with excellent two way stretch for superior fit and brushed inner face providing warmth and comfort. It is excellent in cool fall or spring weather. Long sleeve only. Contact me at octobertrek@gmail.com with the subject line “Jersey” if have any questions. 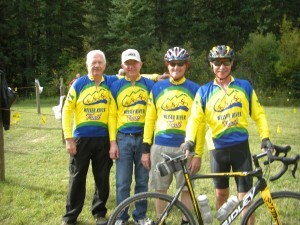 Proceeds go to the Friends of the Weiser River Trail. 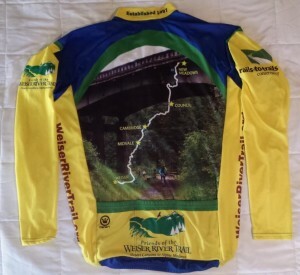 The jersey made its South Dakota debut in September 2012 at the Mickelson Trail Trek as a favorite jersey by many on the final leg of the ride (OK, favorite of 4 of the 530 riders). Check out the Mickelson Trail. If you like rail trail events, the Mickelson Trail Trek three day ride of the 109 mile trail is a ride you will want to attend the third weekend in September. 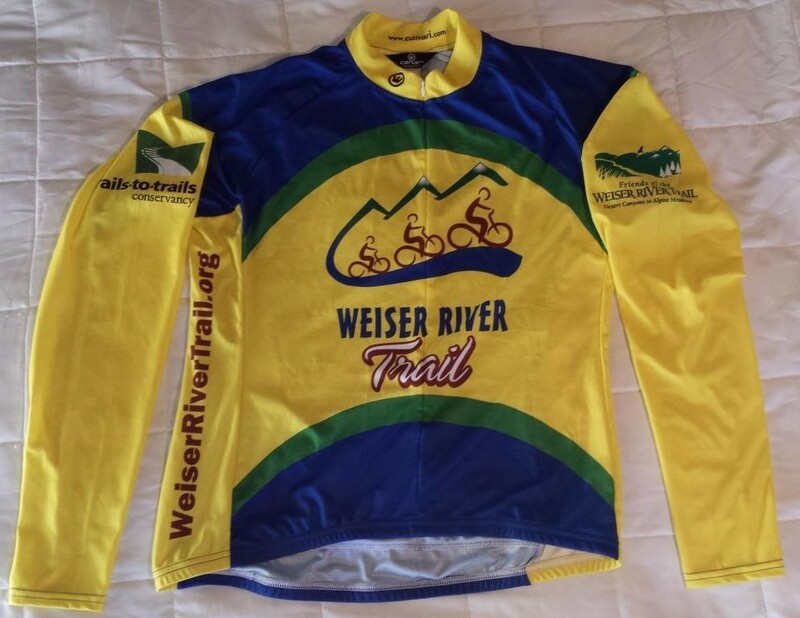 The Mickelson Trail folks do not pamper you as much as the Friends of the Weiser River Trail, but you will love the ride anyway.